This is one of my all-time favorite pasta salads which was introduced to me by one of my favorite hostesses. It’s so simple, healthy, and — dare I say — elegant for a pasta salad. It is also open to improvisation, so feel free to add or subtract vegetables to your liking. While you can certainly use a store bought basting oil to roast your veggies, I prefer to use my own concoction. Just add one clove of minced garlic and some fresh herbs such as thyme and parsley to about half a cup of olive oil, stir well, and let it sit for about 30 minutes. Plain old olive oil works just fine, too. Mix veggies in olive oil, salt and pepper, and roast at 425 degrees for about 20 minutes or until brown. I like to do the eggplant in one batch and everything else in a second batch. Cool veggies. Cook orzo according to package directions. Cool orzo. 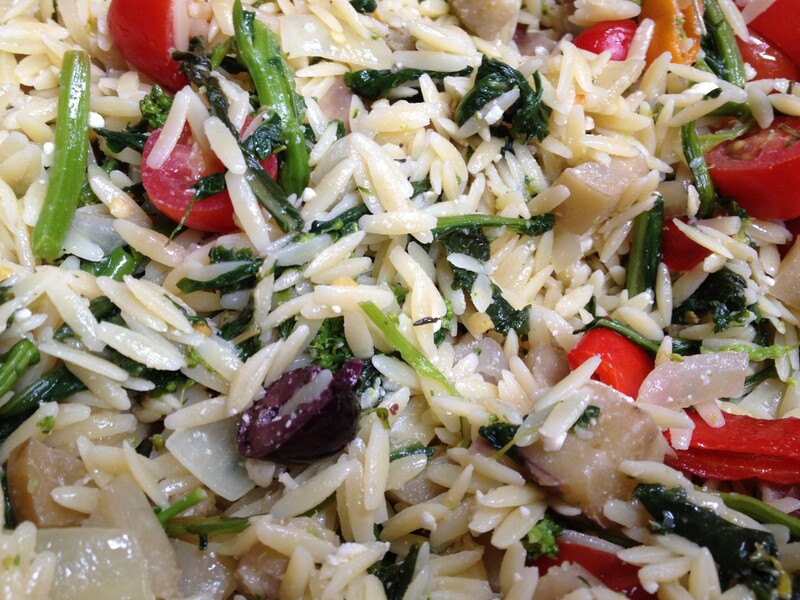 Mix orzo with veggies, olive oil, salt and pepper, and add feta cheese, fresh basil, sliced cherry or grape tomatoes, and juice from 1/2 a lemon. 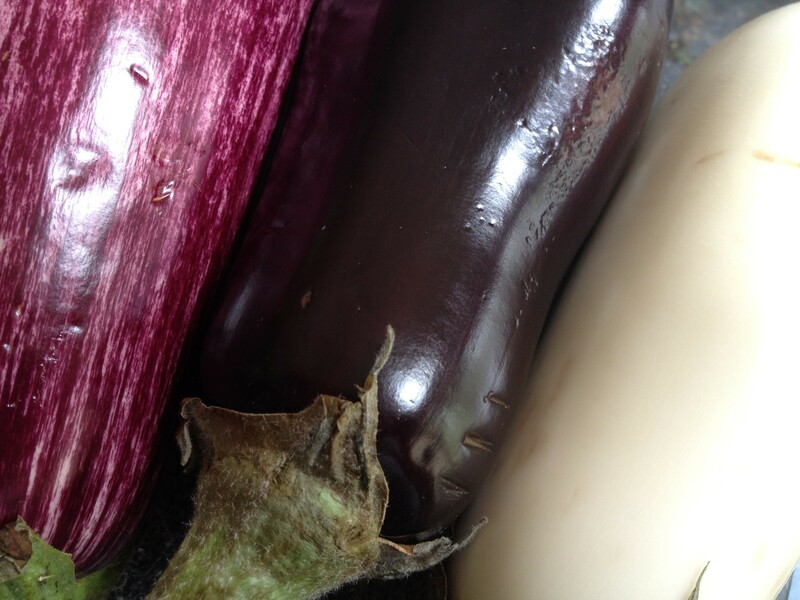 Three kinds of eggplant to impress one’s guests. This entry was posted in Main Dish, Salads, Side Dish and tagged broccoli rabe, orzo roasted vegetable salad, pasta salad by Mom Mom's Apron. Bookmark the permalink. 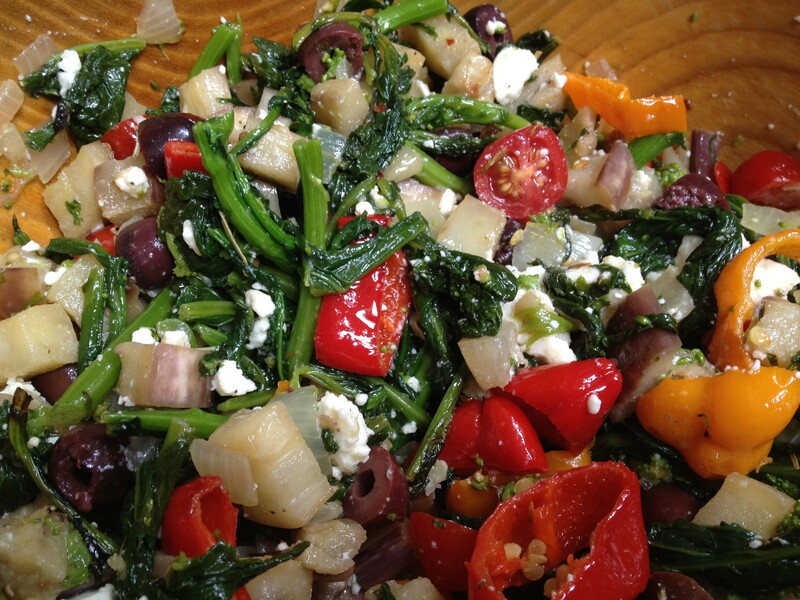 Sounds wonderful…minus the olives of course!